I have been trying to cut down alot of the carbs out of my diet in my attempts to shed some of these oh so stubborn preggo pounds, so when I came across Shirataki Noodles I was very intrigued. 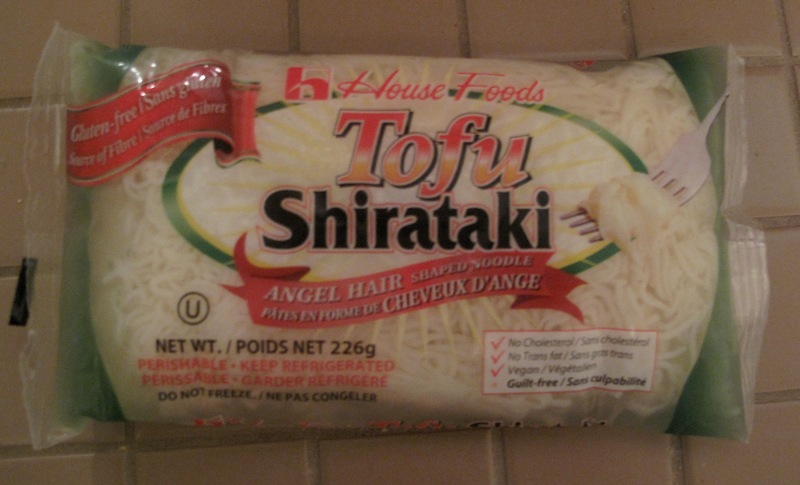 Shirataki Noodles are noodles made out of tofu and come in different sizes (spaghetti, angel hair, linguine etc.). I was skeptical of how good these could actually be, but they were significantly less in the categories of calories, fat and carbs in comparison to regular noodles, so I gave it a go. I was impressed with the results of using it with a stir fry. It says on the package that you can substitute it in pasta dishes as well, but I don’t think I can go there with these just yet….or ever :), but they work great in asian inspired dishes. 1. In a large saucepan or wok heat olive oil, and add garlic. After a minute stir in Prawns, green beans and zucchini. Cook until prawns are pink throughout and veg are tender. Add soy sauce and teriyaki sauce. 2. While stirfry is cooking, drain liquid out of shiratki noodles and rinse well. Boil in water for 2-3 minutes, drain and rinse. 3. Pour stirfry over bed of noodles and enjoy. 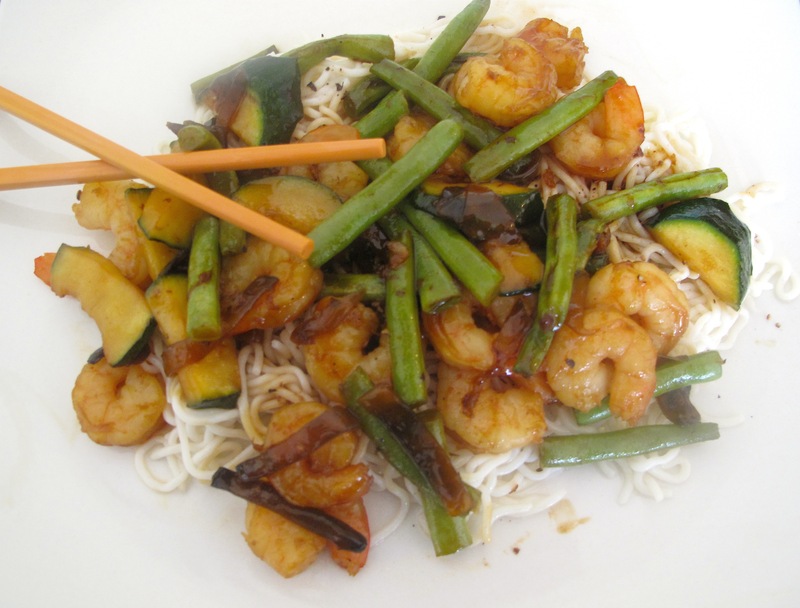 This entry was posted in Mains, Seafood, Vegetables and tagged cooking, food, low carb, noodles, prawns, Recipes, shrimp, stirfry, teriyaki, tofu noodles by Karina. Bookmark the permalink. nicely done. i wonder if i can find these in shanghai. what’s the deal with udon? more cals? Just had a similar dish like this yesterday. Really like the noodles. I made Mac and Cheese with the Macaroni Shapes a while back. They are such a great substitute when wanting to cut back on the carbs!